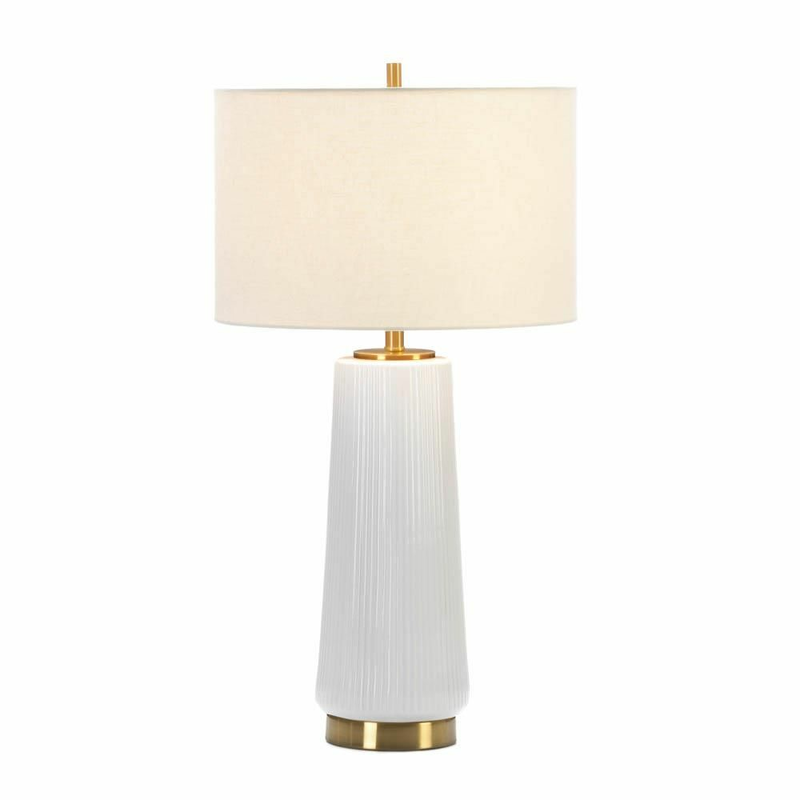 Enhance your home lighting with this contemporary white table lamp. 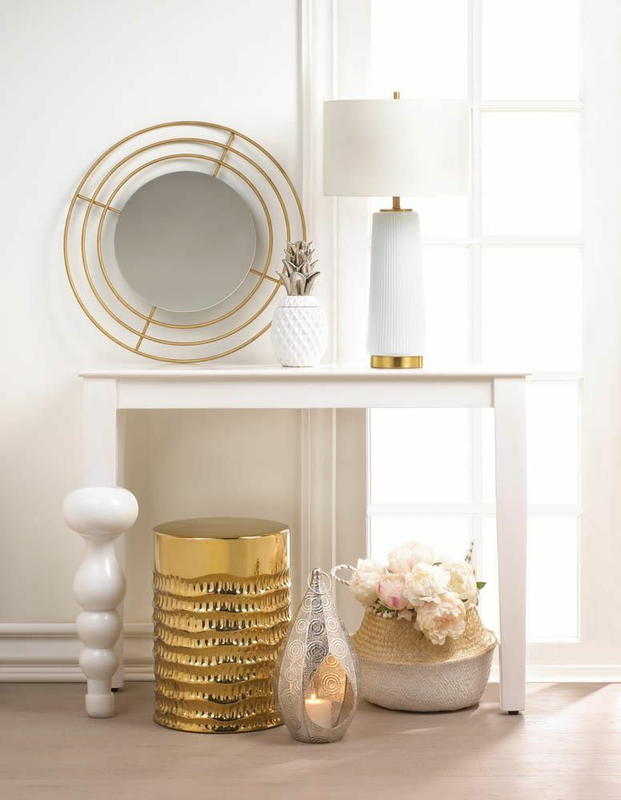 The lamp features a white ceramic column with line detailing and an eye-catching gold base and finial. Finished with a crisp white cotton shade, this modern table lamp will coordinate effortlessly with almost any color scheme. Weight	7.2 pounds. 14" x 14" x 25.8". Ceramic, Cotton. UPC Number: 849179040109.